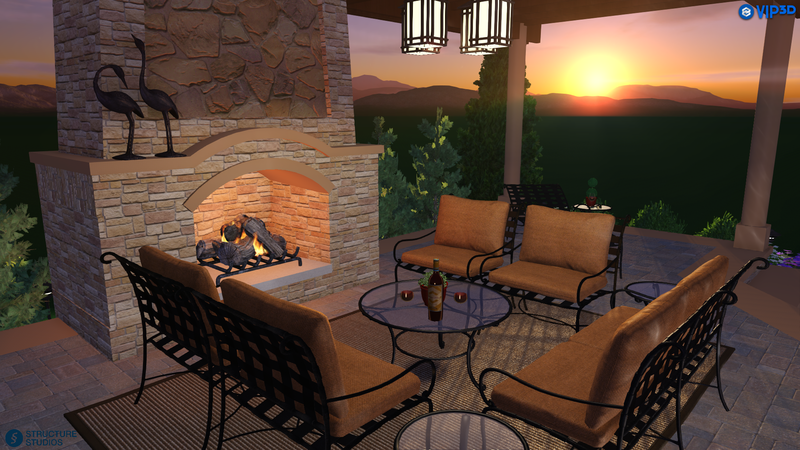 Backyards n More is a groundbreaking concept designed to meet all of a homeowner’s backyard needs. 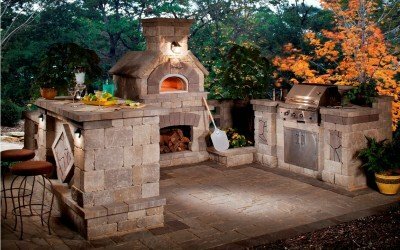 We are Sarasota and Manatee Counties’ Premier Custom Outdoor Kitchen and Outdoor Fireplace design center. 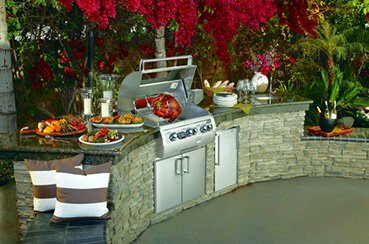 Visit our Backyards n More showroom, meet our staff and let us design and build your custom outdoor kitchen and custom outdoor fireplace. Backyards n More features everything you need to take full advantage of our beautiful Florida weather and expand your living space to include the back yard. 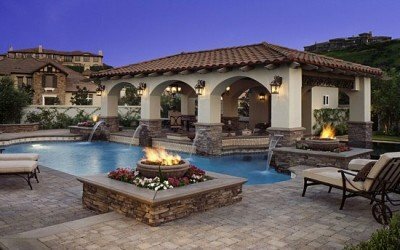 Treat yourself, your friends, neighbors and family to a dream backyard patio with a custom outdoor kitchen or matching outdoor fireplace or fire pit. With one stop, we handle all your design needs. We know that each home and home owner is unique. We will be able to design, build and maintain your backyard, with the individuality you deserve. 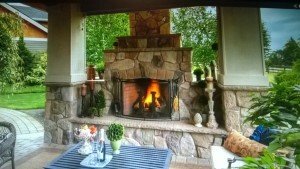 Our Vision is to create another room in your house where you can relax next to your custom fireplace and after a warm meal cooked on your custom designed outdoor kitchen. Paver Deck with brick coping featuring spa spillway. 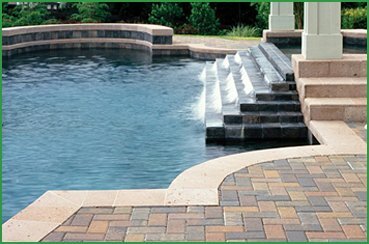 Pavers are a popular choice for backyard patios, walkways and driveways. Backyards n More provides a beautiful, custom paving solution for all your hardscape projects. Choosee a paver type from travertine, clay, marble, knockdown from a variety of manufacturers such as Old Castle, Stabil, SCM, CT and more. Be the center of attention at your next party. Show off your cooking skills with everything right at your finger tips. 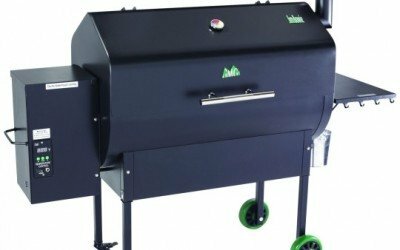 Become the chef and cook on a custom grill designed and built for the way you grill. 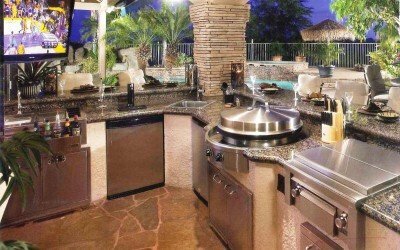 Reach over and grab a cold beverage from your custom beverage center or prepare a quick vegetable dish from your custom cold storage drawer. There is nothing quite like a savoring a steaming cup of coffee or a robust glass of wine in front of a custom hearth fire place built by Backyards n More. Who doesn’t like to sit around the fire and tell stories? Let Backyards n More design your custom fireplace or custom fire pit with seating for all your friends to tell about the one that got away.